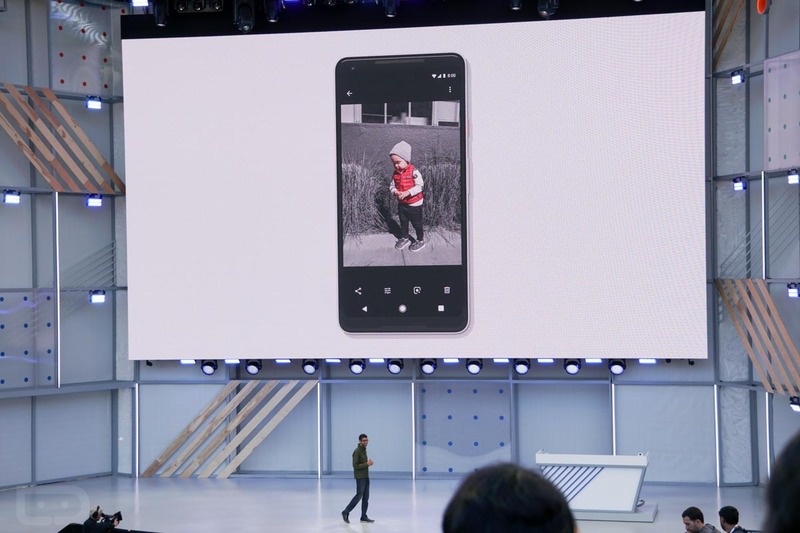 Hitting Google Photos this week, Google introduced new one tap actions for photos, as well as better sharing capabilities while scrolling through your photos. On top of that, other changes are happening later on, including the addition of new editing tools like Colorize. Right now, users will benefit from added one tap actions that include options to brighten, share, rotate or archive a picture. Described in Google’s announcement post, these suggested actions are powered by machine learning, meaning you only see them on relevant photos. For editing, Google is introducing a Color Pop option, which will essentially turn your photo into a B&W photo, but then leaves the color for whatever subject you choose. We’ve placed an example below to give you an idea of how that works. Also detailed during I/O, Google is working on a feature that will allow you to take your older B&W photos, then convert them to color. You’ve probably seen something like this done to old photos in other editing programs, so this should be quite neat when launched for mobile devices. We’ll let you know when it comes. Google also announced a new program for developers that can bring Google Photos access to 3rd-party apps and devices. We’re introducing a new Google Photos partner program that gives developers the tools to support Google Photos in their products, so people can choose to access their photos whenever they need them. 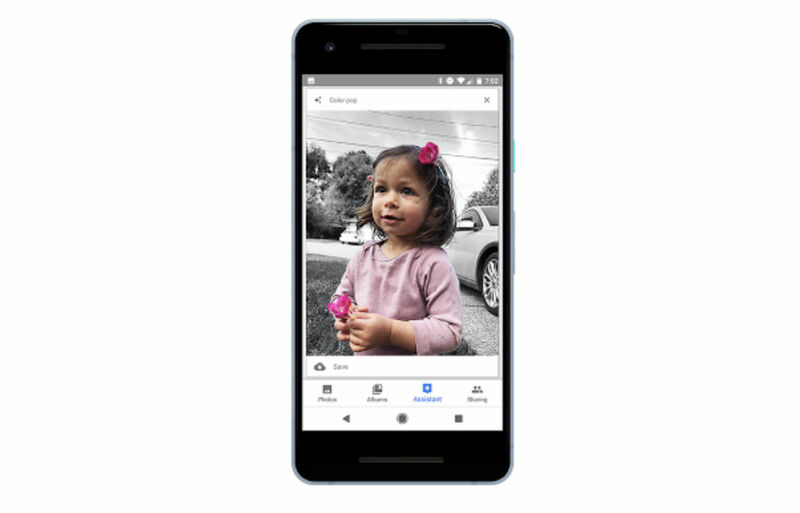 Look for apps and devices that work with Google Photos in the coming months. A few of the changes I just explained are already going live in Google Photos today, so go check them out.